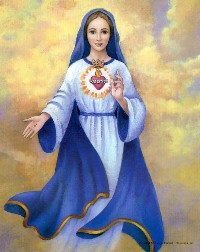 The purpose of this site is to provide further information about Our Lady’s appearances at Fatima, Garabandal, and Medjugorje, as well as La Salette, which all people will need to know about in the aftermath of The Warning (Illumination of Conscience). It is necessary to know about them, because the messages are important for the success of Our Heavenly Father’s Divine Plan. Fatima is important because of the consecration of Russia to the Immaculate Heart to avoid annihilation of the nations and future martyrdom of a pope; Garabandal is important because of the prophesied Miracle after The Warning and the conditional worldwide Chastisement; and Medjugorje is important because of the ongoing heavenly messages and Ten Secrets for the world. There is also information on the Secret of Our Lady of La Salette, which is very important to know due to its connection with the Secrets of Fatima, the Great Tribulation, and the Great Chastisement. Finally, visitors are encouraged to visit the main website of MaryRefugeOfHolyLove.com for more information about Holy Love Ministries, the Book of Truth (Maria Divine Mercy), Locutions To The World, and messages given to Prophet John Leary, which are also key to the success of the Divine Plan.